Cork Digital Marketing Awards 2018 Win! 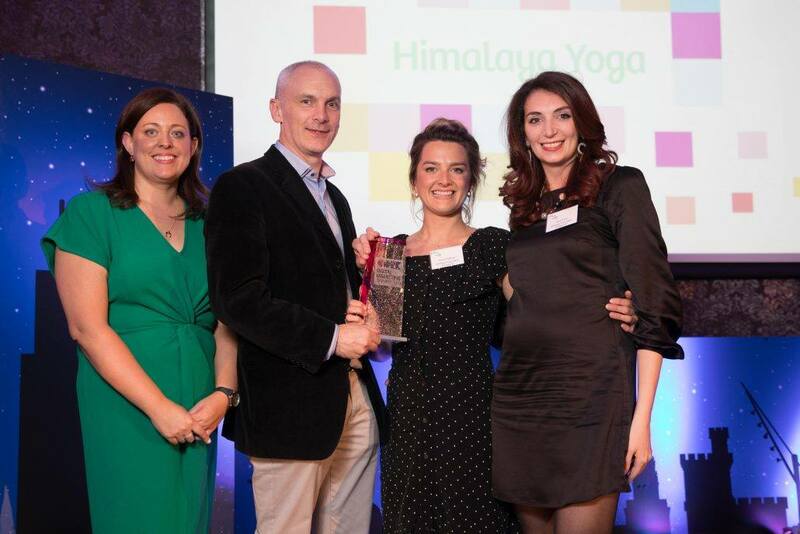 Our team members Anca Erena and Hazel O’Sullivan (pictured) were both absolutely thrilled to accept our award for the Best Use of Digital Marketing for the Greater Good Award at the Cork Digital Marketing Awards which took place in the Rochestown Park Hotel last Friday Night (September 28th) .This is our second year in a row as winners for our efforts with Yoga in the Park Cork and we would like to extend a big thank you to everyone who rolled out a mat over the summer, teachers and students. This is your win too! Go Team Himalaya!